Tech for Good Dublin starts off 2019 with an event designed to teach young people about tech. There are three speakers who discuss how tech projects are having a positive impact in Ireland and around the world. The event includes lots of great classes and topics, everything from free coding clubs to the use of virtual reality in the classroom. This workshop is designed for anyone working in a non-profit or voluntary/community group who wants to use digital and social media to help drive progressive social change. The Northern Ireland Science Festival features a diverse range of events over the course of two weeks, some of which are located in different parts of the city. That includes the AI in NI exhibition, which explores how AI relates to everyday life in NI, and the ‘When Something Happens’ VR experience, an inspirational adventure in virtual reality in the Armagh Planetarium. This free event invites world-class speakers and industry leaders to share their views on the Internet of Things and explore its potential to create innovative businesses in Northern Ireland. It’s only when people, processes and technology interact seamlessly that businesses can improve their results. Learn how industry leaders take this holistic approach to implementing successful transformation programmes to accelerate growth. The first World Machine Learning Summit in Dublin is a programme designed to help data engineers, analytics professionals and tech start-ups develop the machine learning skills to create a competitive advantage for their businesses. Women Techmakers is Google’s global programme that was created to support women in technology. This one-day event features speakers who motivate and inspire, with talks highlighting the achievements of women in tech in Northern Ireland and beyond. This annual conference with more than 200 attendees from around the world focuses on technological standards and services for digital TV. It presents sessions on the emerging issues in the industry and features open discussions about hot topics in the DVB world, including OTT, 5G, DVB-I and HbbTV. This free to attend, all-day event is the continuation of Innovate UK’s Women in Innovation programme, which hosts events across the UK. It offers females in tech the opportunity to meet like-minded experts and entrepreneurs, access regional support and attend masterclass sessions. The BSI International Cyber Resilience Exchange 2019 is a one-day tech event that brings together leading experts and innovators in the world of cybersecurity. They share their latest insights through keynote speeches, panel discussions and interactive sessions. Businesses, innovators and investors come together with industry leaders to share perspectives on how emerging technologies will shape the world of tomorrow. FutureScope has become a must-attend event for everything from start-ups to multinational companies that are active in Dublin’s thriving tech space. Europe’s fastest growing tech event is back for another year, bringing influential tech leaders and top brands together for two days of knowledge sharing, growth and development. The Dublin Tech Summit also features a unique start-up programme that allows entrepreneurs to exhibit their wares and take part in workshops with industry leaders. Join over 300 technology professionals and 500 students at Belfast’s biggest technology event. The sixth annual BelTech features three stages where attendees can learn from keynote speakers in the fields of software engineering, artificial intelligence, digital and more. ARVR Innovate’s focus on the augmented and virtual reality space has made it one of the first tech events of its type. It explores user case applications for immersive technologies in business and welcomes more than 500 Irish and international delegates to showcase the latest AR and VR technologies through panels, live demos and keynote speeches. Inspire Fest gives attendees the chance to learn from some of the greatest minds in everything from blockchain and AI to augmented reality, virtual reality and medical technology. With over 3,000 professionals from 48 countries, this is one of the biggest events of its kind. The largest annual tech event in Ireland brings together microbusinesses, SMEs and enterprise-level firms to supercharge growth. It features more than 5,000 business owners, entrepreneurs and key decision-makers from across Ireland. They can learn from the country’s most successful business people and develop valuable tech skills in interactive workshops. There are also more than 300 exhibitors and 50 supporting associations, each with a focus on nurturing SME talent and growing businesses online. The annual MoneyConf brings leading cryptocurrency and financial technology experts together to discuss the future of financial applications. 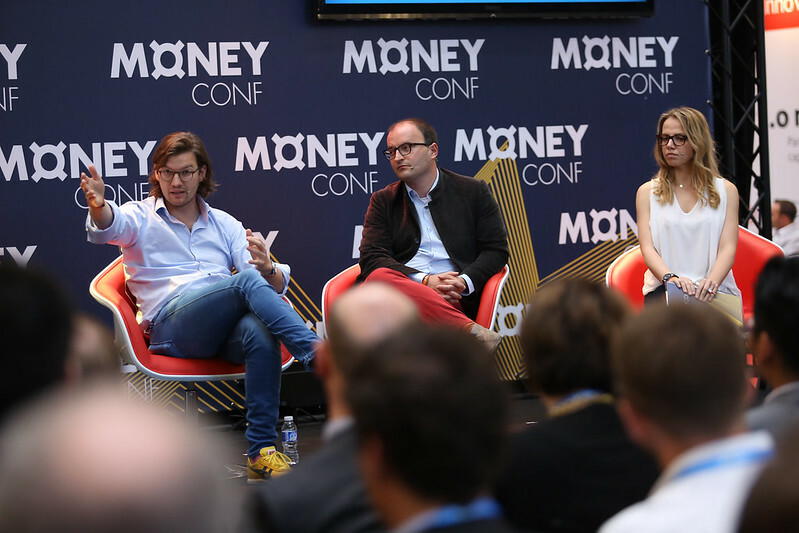 Organised by the team behind the largest technology conference in the world, MoneyConf will expect to welcome more than 5,000 attendees from more than 60 countries around the world. They will be treated to keynote speeches, hands-on workshops and the opportunity to network with some of the industry’s leading lights. Digital DNA is one of the leading tech events in Northern Ireland, with blue-chip companies, digital SMEs and start-ups all coming together to share knowledge and ideas to overcome the challenges associated with digital transformation. The event combines the latest content from world-class speakers with relaxed networking opportunities, allowing business opportunities to arise in a more organic way. Medical Technology Ireland returns for its third year and promises to be the biggest so far. There will be more than 200 global suppliers exhibiting and a world-class conference programme that features The Women in MedTech Forum and the Start-up and Innovation Academy. You can now follow us on Instagram for the latest tech and rental news.